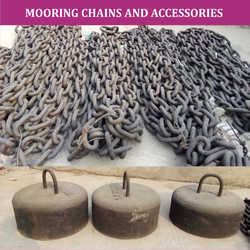 Our range of products include steel mooring buoys, sea storm warning signal sign, port approach leading light, steel navigation buoys, polyethylene navigation buoys and marine rotating led beacon. 10 mm per 54 kg. 10 mm per 72 kg. 10 mm per 104 kg. 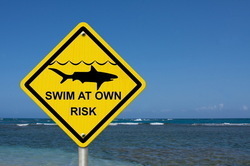 From the first day of our establishment, we manufacture and supply the optimum quality of Sea Storm Warning Signal Sign. 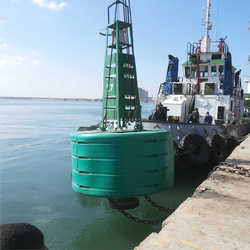 High performance, low maintenance and user-friendly operations, makes the marine remote monitoring unit highly demanded. Total quality assurance procedures followed at each stage of production of marine remote monitoring unit ensures that is quality is never compromised. 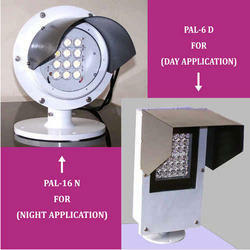 Lantern body: Aluminum alloy casting sealed to Ip65 standard. Cable entry: M16 Cable glands fitted. Fixing: 4 holes for M10 bolts at 200 mm PCD. Superstructure: 4 sided M.S. angle with ladder on one side. Daymark: GRP panels fitted on each side of superstructure. 10 mm per 46 kg. 10 mm per 26 kg. 10 mm per 32 kg. • Body material : Rotationally moulded, UV stabilised vergin polyethylene seamless body. • Body Colour : Premixed with body material before moulding, colour as per IALA. • Foam : Body fitted with closed cell P.U. foam. 1. Cost Effective, Light Weight, Easy to handle. 2. No Painting, almost Maintenance free. 3. Resilient float section, resistant to impact. 4. Excellent buoyancy and Stability. 5. 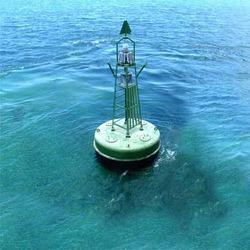 Buoy is unsinkable (Foam filled). 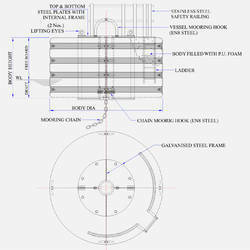 • Body material : Rotationally moulded, in 4 quadrants bolted together UV stabilised vergin polyethylene. • Daymark : GRP panels fitted on 4 side of the superstructure. 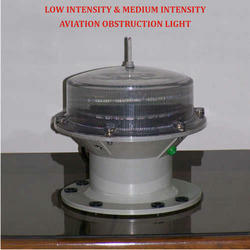 • FEATURES : The MRLB is a versatile stand alone high range gearless rotating LED beacon for marine application. • LED PANELS : The octagonal shaped rotating assembly is made of alumunium plates, one to eight LED panels each carring upto 60 LED can be fitted on the plates to suit the required light characters, and with the selectable rotation period variety of light characters and light ranges can be achieved. • LED PANELS DRIVE : The LED panel assembly is rotated by a low power microprocessor controlled gearless system. the drive systems are duplicated. If one drive fails, the standby drive switches ON automatically. Also the standby drive can manually be switch-ON from the front control panel. 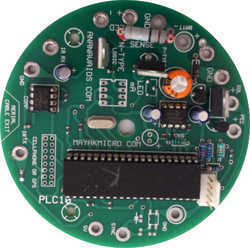 • LED CONTROLLER : The LED controller is microprocessor based unit incorporating all the controls. Also it has solar charge regulator for the battery protection from over / under charge. The beacon switches ON/OFF automatically. • MONITORING : (OPTIONAL) : The system is suitable for remotely monitoring all the necessary functions of the beacon by using GPS and GSM system. • CONTROL PANEL : The control panel is fitted on the front part of the beacon body containing all the manual controls and indication lamps etc. • POWER SUPPLY : The beacon can be supplied with solar supply system or AC/DC unit with battery standby system for mains supply system. Light Character : Fl. (1), Gp.Fl(2), Gp.Fl(3), Gp.Fl(4) Flash every 5 sec. to 90 sec. Operating Voltage : 24V d.c. nominal. Charge controller : Solar charge controller provided for the batteries safety in LED Controller. Protection : Against reverse polarity, over voltage, and short circuit. Fixing : 4 Nos. 18 mm dia holes equi-spaced at 560 mm PCD for M16 SS bolts. Being the market leader of this domain, we manufacture, trade and export the premium quality of PLC-12 Programmable LED Controller. Designed by using latest machinery, the rendered programmable LED controllers are known for their durable construction and longer serving life. Our patrons can avail the rendered PLC-12 programmable LED controllers in various sizes and designs. charging of the battery and prevent its overcharging and disables load at low voltage. Load disabled setting from Battery. 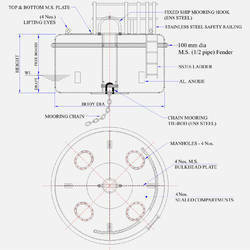 From the first day of our establishment, we manufacture and supply the optimum quality of Marine Remote Monitoring Unit. 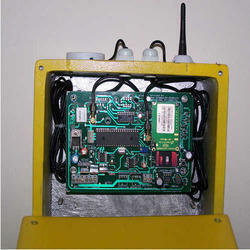 High performance, low maintenance and user-friendly operations, makes the marine remote monitoring unit highly demanded. Total quality assurance procedures followed at each stage of production of marine remote monitoring unit ensures that is quality is never compromised. We have developed a versatile remote monitoring system for Buoys and beacons by using the GPS and GSM cellular telephone network. The system is suitable for monitoring off-shore and on-shore stations, 24 hours a day from the designated mobile telephones. The outstation is fitted with GPS receiver and 900/ 1800 MHZ band GSM cellular radio unit that interfaces with the microprocessor running software. Each station is associated with its own telephone number stored on a SIM card. At the receiver station one or more designated mobile telephones can be activated. 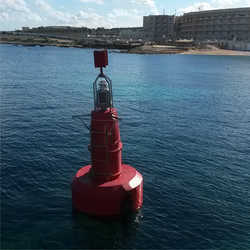 Monitoring of Buoy position: The position of the buoy is constantly monitored by a 12 channel GPS receiver. If the buoy moves beyond an allowed limit, an OFF STATION text message will be sent to the designated mobile telephones. The message will also keep giving the new Latitude and Longitude position of the drifted buoy. The Position Monitor includes a delay off approximately 15 Minutes. Light source : High intensity LEDs. Light Colour : White, Green, Red or Yellow. Programming : Any character cab be preset as required. LEDs Service life : < 60,000 hours. Beam divergence : 360° horz. x 12° vert. at 10% peak intensity. 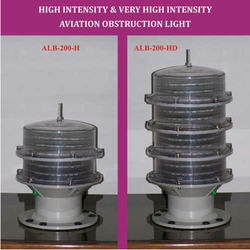 Optical system : 200 mm dia Polycarbonate diffuser lens. 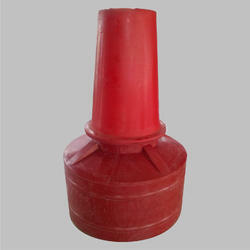 Lantern body : High impact polystyrene, sealed to IP65 standard. Cable entry : M16 Cable glands fitted. Fixing : 4 holes for M10 bolts at 200 mm PCD. Output Voltage : Switch-mode stabilized to suit LED operating current. Charge controller : Solar charge control provided. The lantern, solar panels and SMF battery are mounted on a GRP box, all assembled and wired as one “self-contained unit” ready for fitting on top of buoy superstructure. 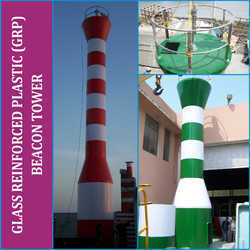 For On-Shore application, Solar Panel shall be fitted on a light pole, facing south. 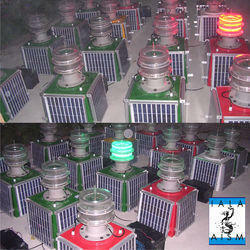 We are offering Marine LED Lights to our clients. 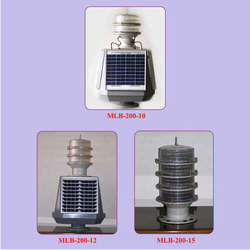 These LED lights are manufactured using the best components and known to consume low power. Also these provide bright lights that does not irritates eyes. It has a smooth lightening effect. 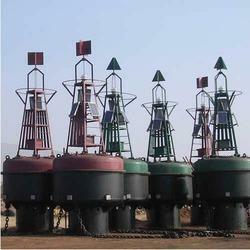 These are available in wide assortment with different sizes and specifications as per our customer's requirement. 10 mm per 54.0 kg. 10 mm per 72.0 kg. 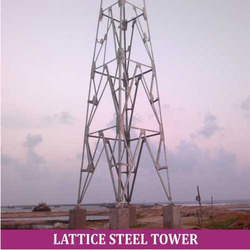 Self supporting 4 sided lattice steel towers cover full range of heights necessary for mounting range lights, port approach sector lights and other shore beacons.An access ladder and stage rest platforms are provided at every 9M height. 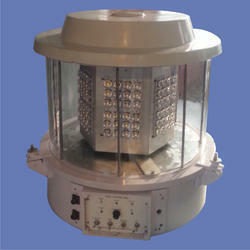 A top platform with gallery is provided along with a pedestal for mounting the light. The towers are made ready for nut and bolt assembly at site. 6. Anti-microbial added to polyethylene body material to prevent algea. • Colour : Premixed with body material before moulding, Colour as per IALA. • Daymark : P.E. Cylindrical. • Mooring Eyes : Stainless steel. 10 mm per 3.0 kg. 10 mm per 8.0 kg. As a noteworthy entity of this domain, we manufacture, trade, export and supply the optimum quality of Lead ACID Batteries. Known for their durability and optimum functionality, the rendered lead ACID batteries are manufactured as per the industry laid norms. 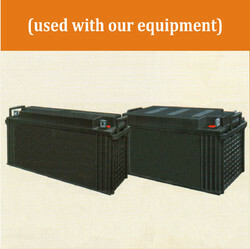 To meet the precise needs of our patrons, we render the lead ACID batteries in various sizes and standardized packaging. 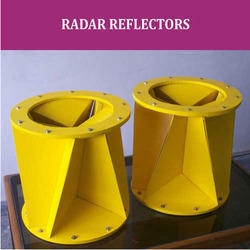 Looking for Navigation Aids Division ?